Ok, so this is not exactly a sea trip, but I am going to include it here as when you cannot get to the sea, it is the next best thing! Besides it isn’t a million miles away in similarity from paddling the Menai Straits. 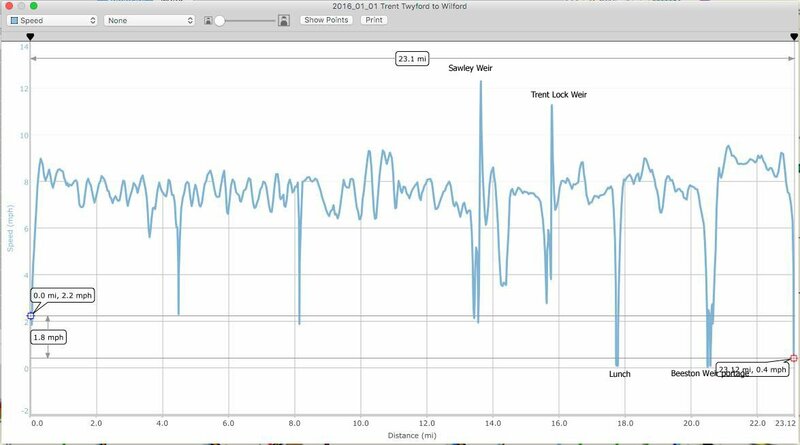 As it was, the Trent was in full flow and I reckon it was going at around 3-4 kts. I paddled with Stu Morris (AKA Mr VE Paddles) and it had been his idea to do this paddle. 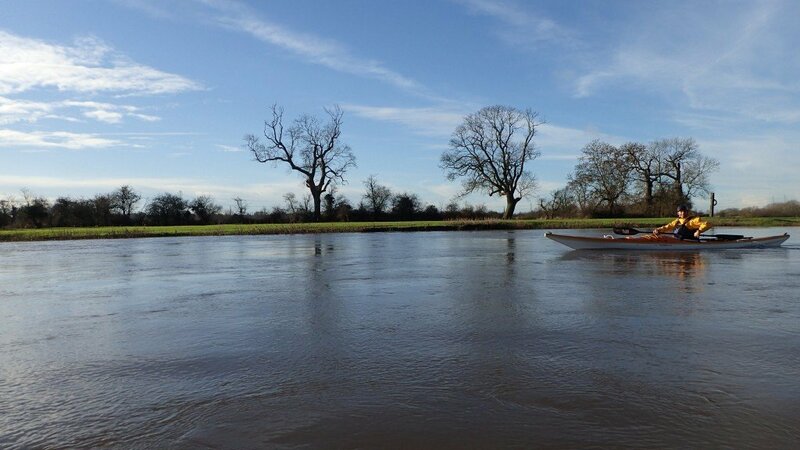 Stu had hoped the Trent would be running a lot faster and we would be done in a couple of hours. In the end it took us around 3.5 hours for 23 miles. So, not a bad average speed! 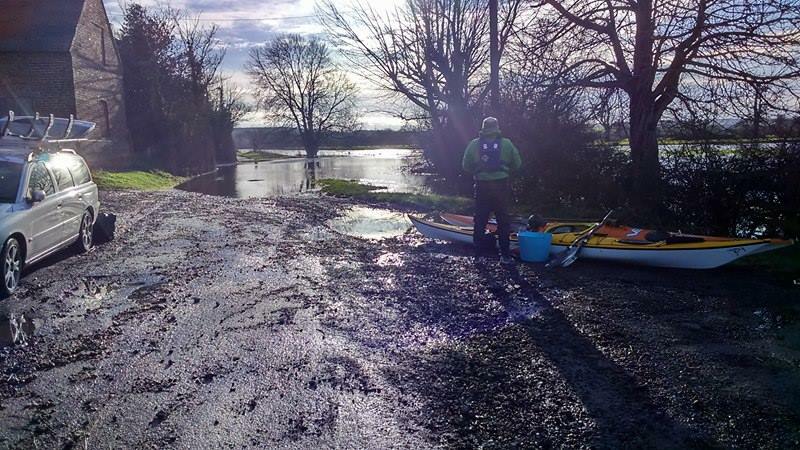 But I have to say it wasn’t quite what I’d hoped for as a first time paddle in my new Valley Etain. Oh well! It turned out to be a great paddle. 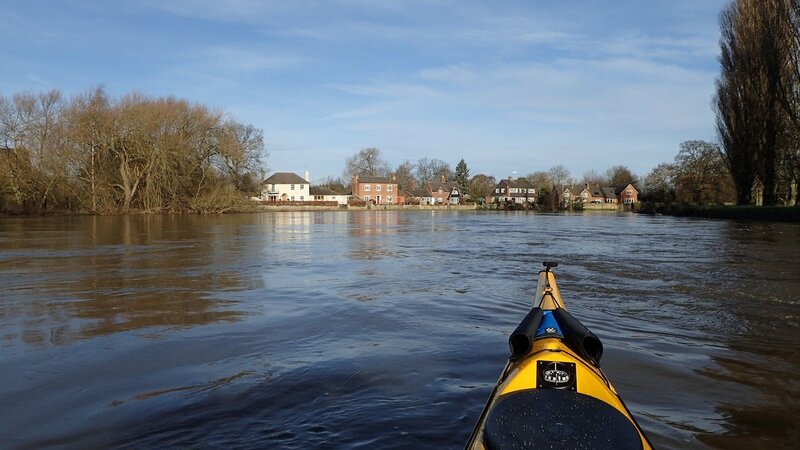 Having left one car at Stu’s place in Wilford, Nottingham, virtually next to the River Trent, we travelled to Twyford on Trent just south of Derby. 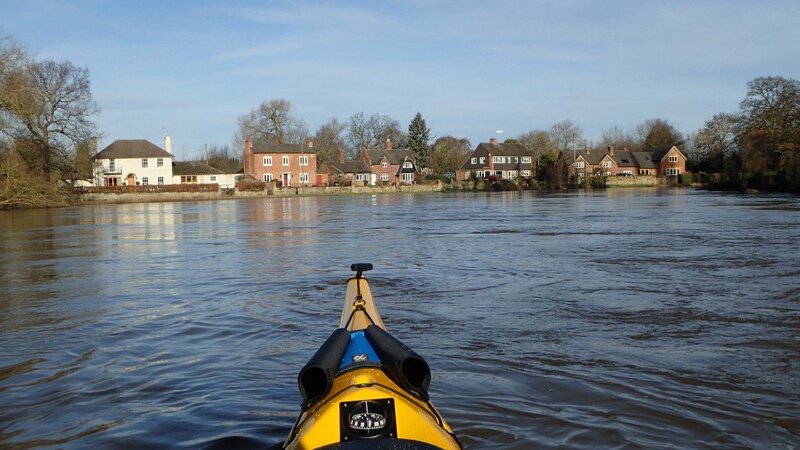 Needless to say the Trent was out of its banks and well into the fields. Setting off – The old Willington Power Station Cooling Towers in the background. I heard the old cooling towers were saved from demolition as Peregrine Falcons nest on them. The sun was our biggest problem, at times the reflection off the river completely blinded us. 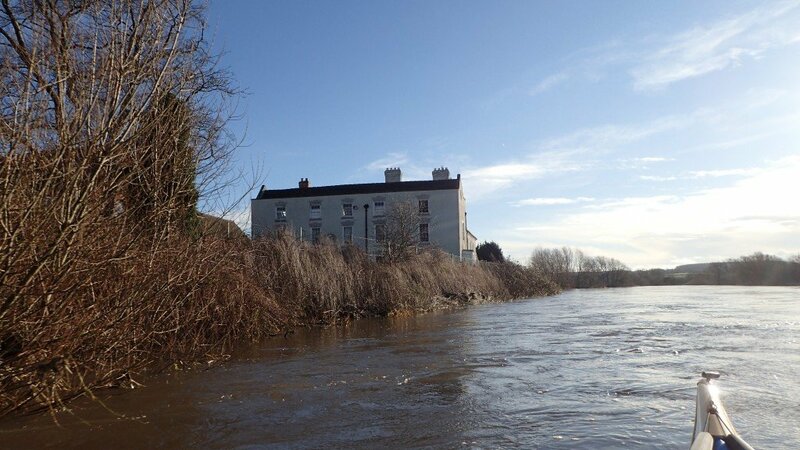 A house at Twyford – I wonder if thy have flood insurance? 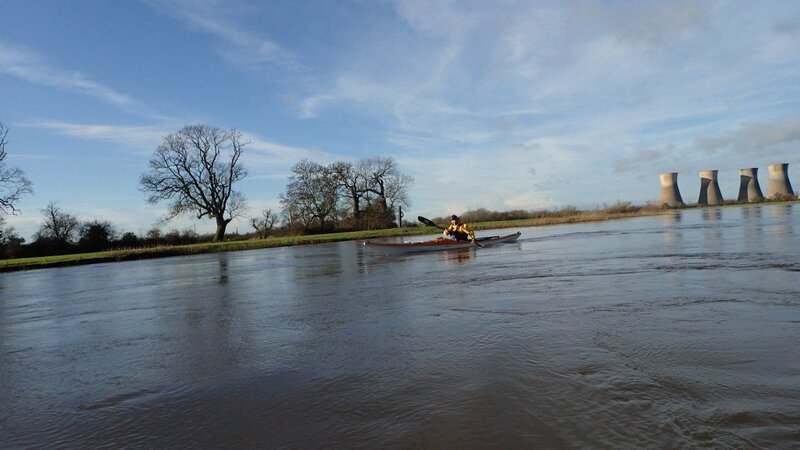 23 miles, blue skies, lots of wildlife with stunning views later we were back at Wilford. The best bits for me had to be running both Sawley and Trent Lock Weirs in our Sea Boats!! 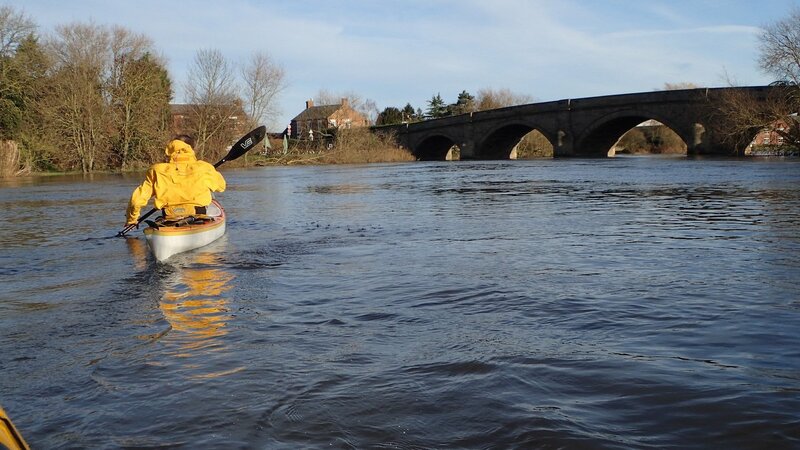 The stepped weir at Beeston didn’t appeal in our composite boats, so we portaged it.